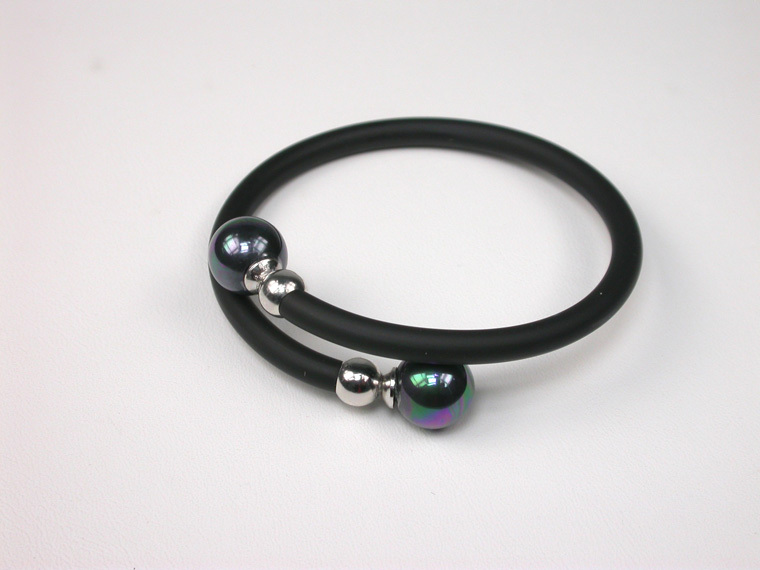 This modern Rubber Bracelet with black 10 mm. pearls is semirigid and adaptable to all sizes! For Him or for Her! 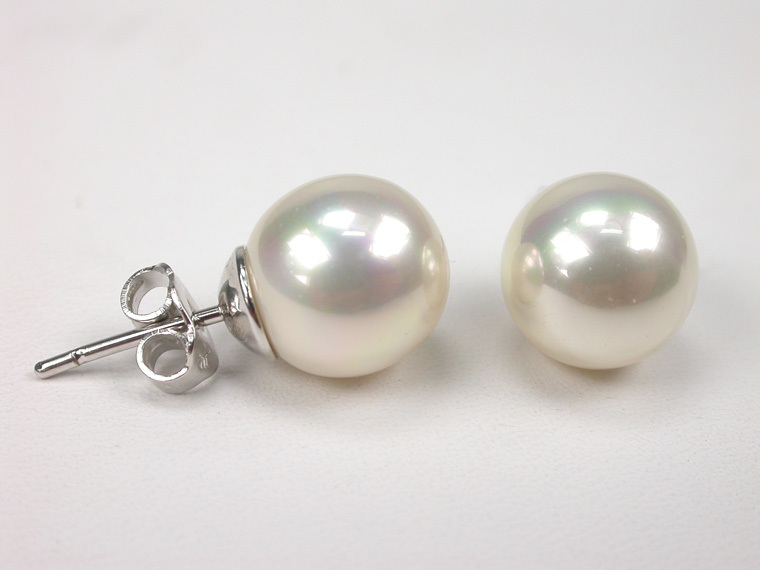 Classic Pearl Earrings. Choose colour and size of the Pearls! Pearls from 5 to 12 mm. Sterling Silver. Pearls available in White, Grey, Black, Blue, Aubergine, Pink and Copper. These 80 mm. long Sterling Silver Earrings with Mother of Pearls combine perfeclty with the necklace and will be the right choice for a perfect evening event. 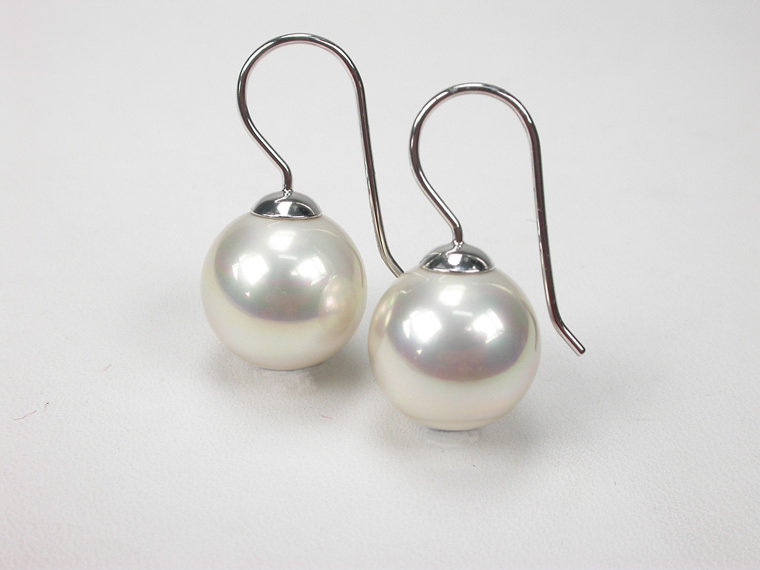 Sterling Silver Earrings with 12 mm white Pearls with a total length of 23 mm. Very simple but elegant and eye catching - the perfect accessory! A Youthful and summery design. A perfect gift for a young woman! Rubber Bracelet with a 12mm Majorca Pearl, a Rose Quartz stone and elements in Sterling Silver. The length is adjustable to fit all sizes! A Youthful and summery design. A perfect gift for a young woman! 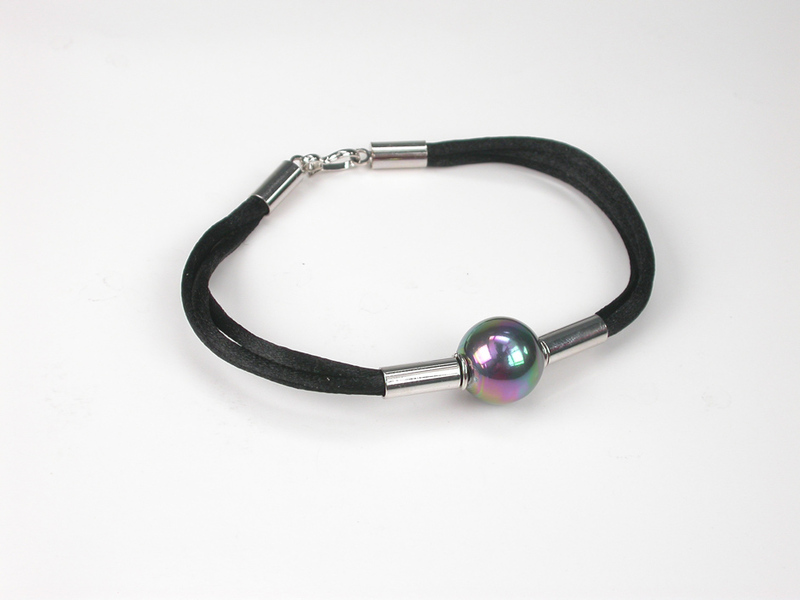 Rubber Bracelet with a 12mm Majorca Pearl, an Amethyst stone and elements in Sterling Silver. The length is adjustable to fit all sizes! A Youthful and summery design. A perfect gift for a young woman! 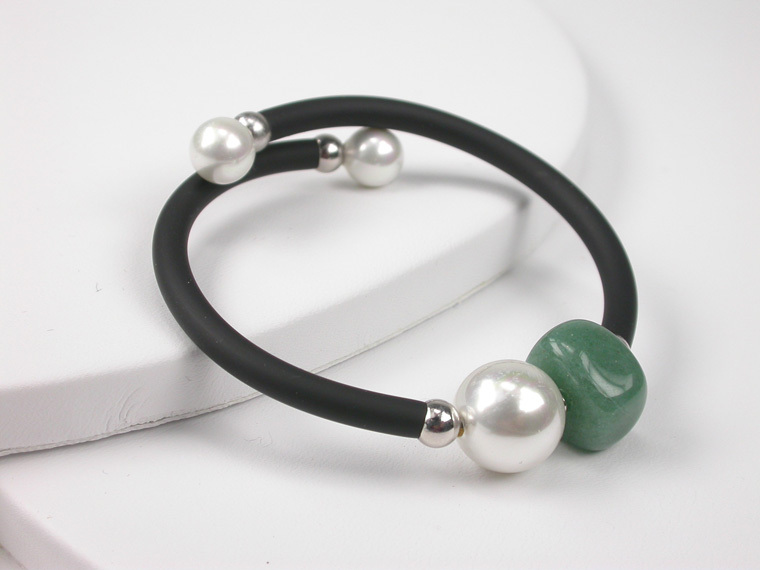 Rubber Bracelet with a 12mm Majorca Pearl, an Aventurine stone and elements in Sterling Silver. The length is adjustable to fit all sizes! A Youthful and summery design. A perfect gift for a young woman! 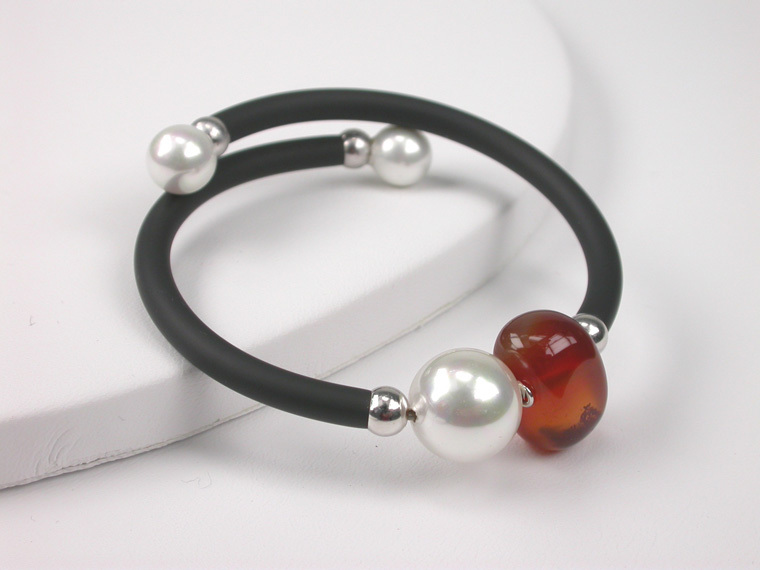 Rubber Bracelet with a 12mm Majorca Pearl, a Carnelian stone and elements in Sterling Silver. The length is adjustable to fit all sizes! A 21 cm. long Silk cord Unisex Bracelet with a Lovely 42 mm. Black Pearl and Sterling Silver elements. Perfect for any occasion! For Him or for Her! This 40 cm. long rubber Necklace and its very original Pendant with 3 Grey flat 15 mm. Pearls, transmit youth and freshness. Sterling Silver Earrings with 5 mm. 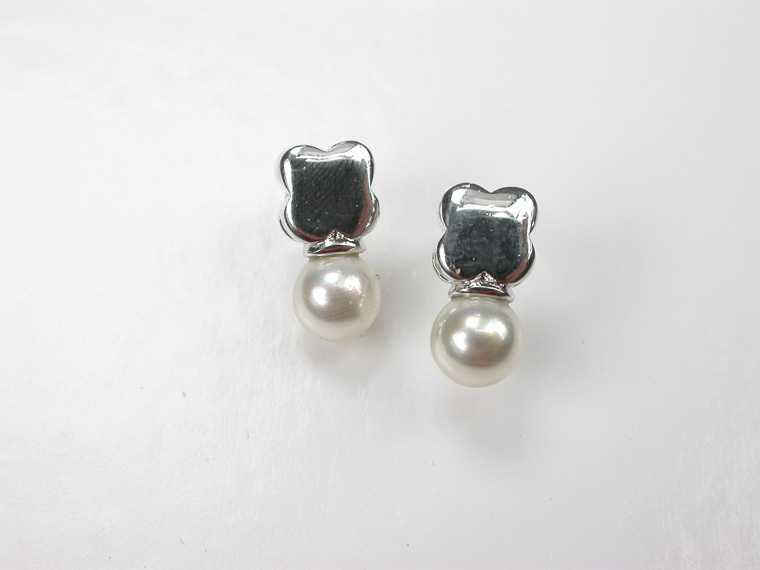 Pearls in a simple and youthful design. A perfect gift along with the matching pendant!